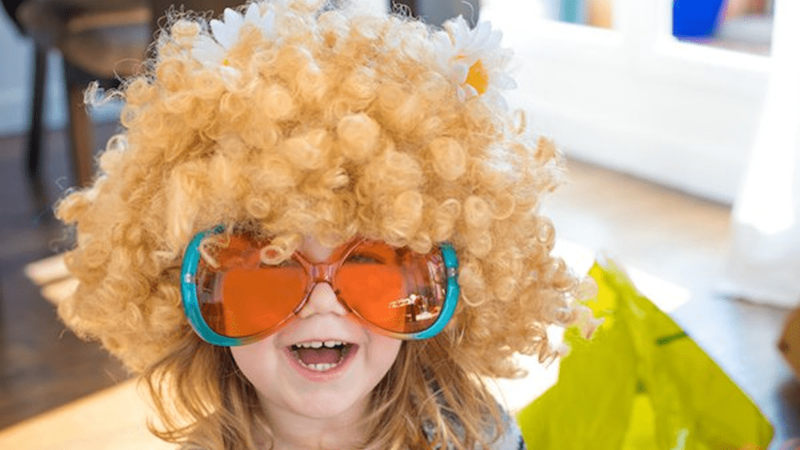 Party games can be a little challenging for under-threes, so it pays to have a few ideas up your sleeve to make sure they get some extra-special play on their special day. Not quite sure how to play these games or keen for some ‘no tears’ tweaks to suit under-threes? Scroll on! Party guests have fun dancing together and when the music stops, they have to freeze. Children who move are “out” – and you may choose to give them a prize – with the final child being the winner. 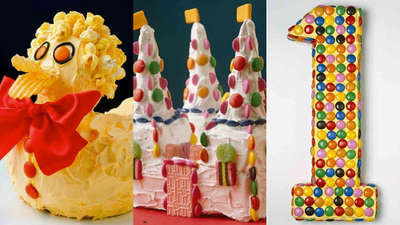 Hide a small wrapped treasure for each guest (and the birthday child) in the garden or party room. When a child finds a treasure, they are “out”. You can spread out a picnic rug for children who have found their treasures to sit on together. 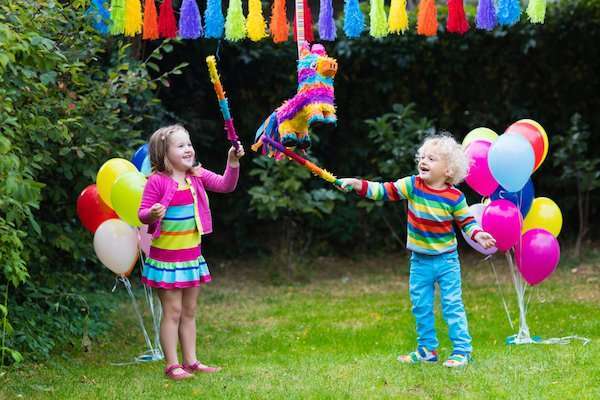 Piñatas are all kinds of fun for littlies. Just remember to keep everyone well back and forgo the blindfolds for younger children. 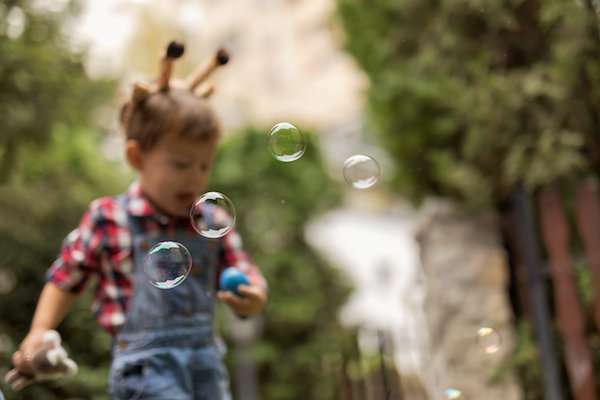 Hide a birthday teddy in the garden – a bonus gift for the birthday child – and have the children help to look for it together chanting “We’re going on a bear hunt, we’re going to catch a little one!” When the teddy is found, everyone gives him a hug and gets to choose a small prize. The birthday child keeps the teddy. Set up individual bubble mix and wands and invite children to blow as many bubbles as they can. Print out ‘Champion bubble blower’ certificates and give one to each participant. Use your imagination and make the categories up as you go along! For under threes, it’s good to award a small prize to each child for taking part. No need to have an overall winner though. Buy a Pin the Tail on the Donkey game and skip ahead by putting the tail on the donkey from the get-go. Now give each child a few stickers and let them take turns popping them wherever they like on the donkey! There is no winner, except the birthday child, who gets to keep the lovely sticker-decorated donkey. Little party guests line up behind an adult leader and then trot along after him, copying any actions that they’re doing. Arms up! Arms down! Bottom wiggle! Funny walk! The sky is the limit. Play a short song to set a timeframe for each game of Follow the leader. Collect lots of fun dress-ups and invite children to choose a special look and walk in a fashion parade. Everyone gets a clap and a cheer in this game. 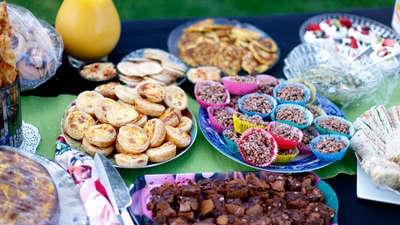 You can take photos of party guests with an instant camera – or use a digital camera and email with a ‘thank you for attending’ note. Remember to keep games short and simple, make everyone feel included and have plenty of little prizes to bestow along the way. 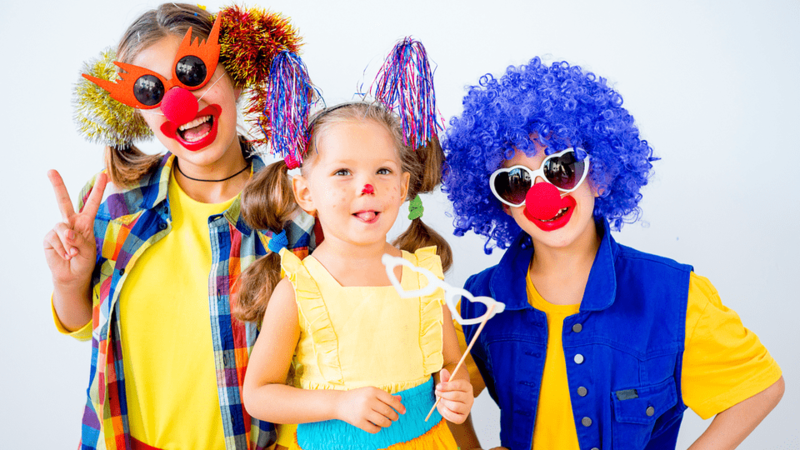 We hope you – and your preschooler and their little guests – have the best party EVER! 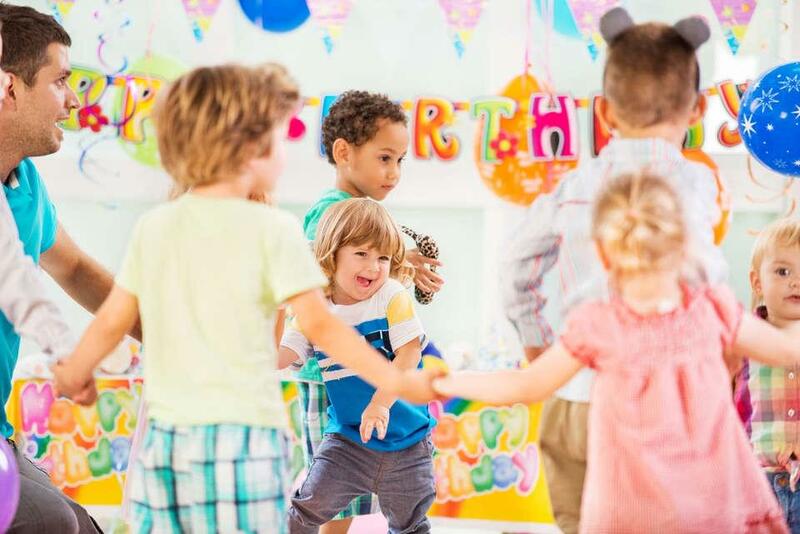 Keen to find the perfect kid-friendly soundtrack for your little one's birthday party? Check out our Kinderling House Party mixtape for some pumpin' tunes, or perhaps our Slumber Party mixtape might be more your style? 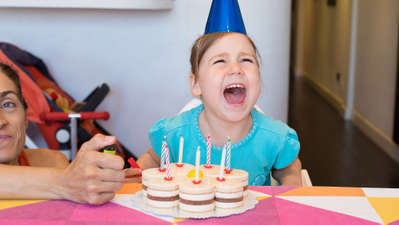 And don't forget, you can request a birthday party song and record a message to play on Kinderling Kids Radio on their special day. Here's how! 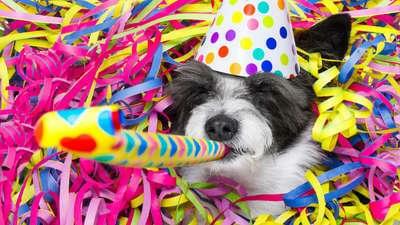 Free birthday stuff for everyone!